General-purpose wiper cleans up in offices, hospitals, housekeeping and fleets. Four-ply design is very absorbent so the towels work well for cleaning grease, grime and spills but is not intended for plastic. 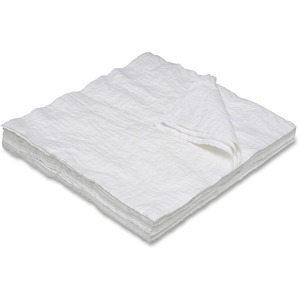 Medium-duty towels are perfect for multipurpose or one-time use. They are nylon-reinforced to resist tearing. Material is made with 40 percent recycled content and 40 percent post-recovered material. Full Size: 13.50" x 13.50"